Today's product showcase are these adorable valentines! 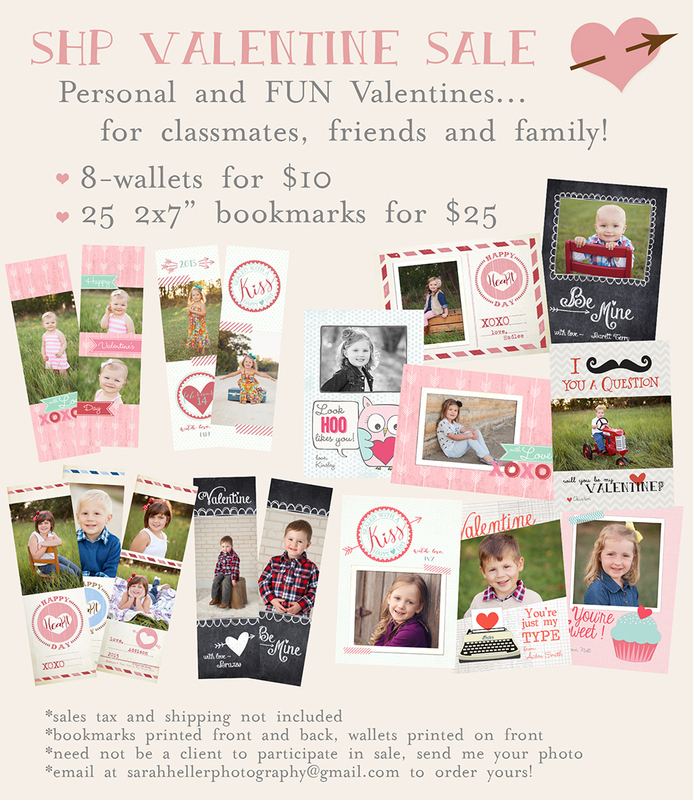 Kids LOVE to see their picture on things and they will love to hand them out to classmates, family and friends. I have made wallets for my kids in years past and I think we might have to do the bookmarks this year! :) I decided to share these with non-clients as well, so please email me at sarahhellerphotography@gmail.com to order yours! I can either re-share a gallery for you pick images from or you can send me your own images to use too. Hope you enjoy all the cuteness:) And, please share with a friend!